The site of the old CP Rail station in Lethbridge, Alberta is now a mall. To the right of the camera is the old station house. The round house is where the mall is now. 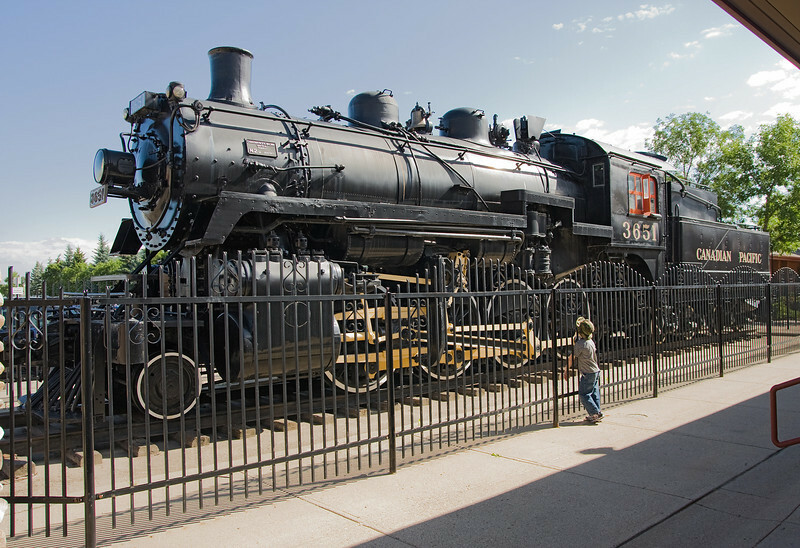 Too bad the fence was around the locomotive as I would have liked to have gotten a better photo. John admiring the old engine, which is a Montreal Locomotive Works 2-8-0 steam engine, N2A 3651. Normally I would place photos of steam locomotives that where 'alive' but I think it still belongs in this gallery.